Augusta government offices will be closed. 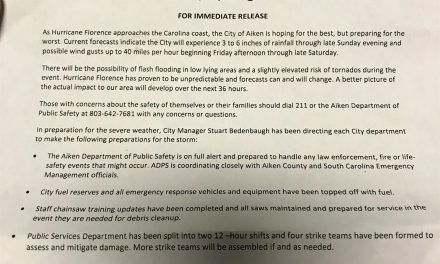 All Augusta community centers will be closed. All Augusta Senior Service Centers will be closed. The Augusta Aquatics Center will be closed. The Newman Tennis Center, Augusta Municipal Golf Course, 5th Street marina and all parks and cemeteries will operate on their normal schedules. The Augusta Animal Shelter at 4164 Mack Lane will be closed. The Augusta Transit system buses will not run on this day. Services resume on a normal schedule Tuesday. Augusta 311 will have agents manning the phone center from 8:30 a.m. until 5 p.m. The Augusta landfill will operate under its normal schedule. Trash collection will operate on its normal schedule.